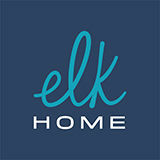 ELK Group International, headquartered in Nesquehoning, PA, is a premier designer and manufacturer of indoor and outdoor residential and commercial lighting fixtures, decorative accessories, wall decor, rugs, and furniture. Through our vast distribution network, we function as a single source provider for a variety of complimentary furnishing categories. Our award winning team of international designers and engineers create coordinating products with uncompromising detail while ensuring each item is crafted to exceptionally high standards of quality, innovation and design. The company founded in 1983 distributes over 15,000 products under the brands: ELK Lighting, Alico, Cornerstone, Dimond Lighting, Dimond Home, GuildMaster, Sterling, Pomeroy, Mirror Masters, and ELK Hospitality. Products are available at a network of fine lighting and furniture showrooms, electrical wholesale distributors, department stores and specialty home improvement companies throughout the world.